Let’s say your next project is going to be a simple HTML website for a resumé, marketing a product or service, documenting your software, or something along those lines. A great option for you is to build your website using static site generators (SSG). In this article, I’m going to list five popular static site generators and their main features, so that you can form a better idea of which one among them would be a good fit for your project. I’m not claiming that I’ve provided the definitive list of SSGs or that I personally favor any of the software I include in my list over any other that’s available out there. However, all of the products in the list are popular, performant, well-documented and well-supported. A common CMS (Content Management System), like WordPress for instance, builds the web page dynamically as it is being requested by the client: it assembles all the data from the database, and processes the content through a template engine. 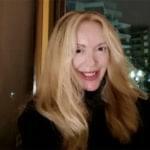 takes a different approach and generates all the pages of the website once when there’s actually changes to the site. This means there’s no moving parts in the deployed website. Caching gets much easier, performance goes up and static sites are far more secure. – StaticGen. If you’re curious and would like to learn more, this great article by Brian Rinaldi looks closely at the inner workings of static site generators. Now, let’s go through some options. 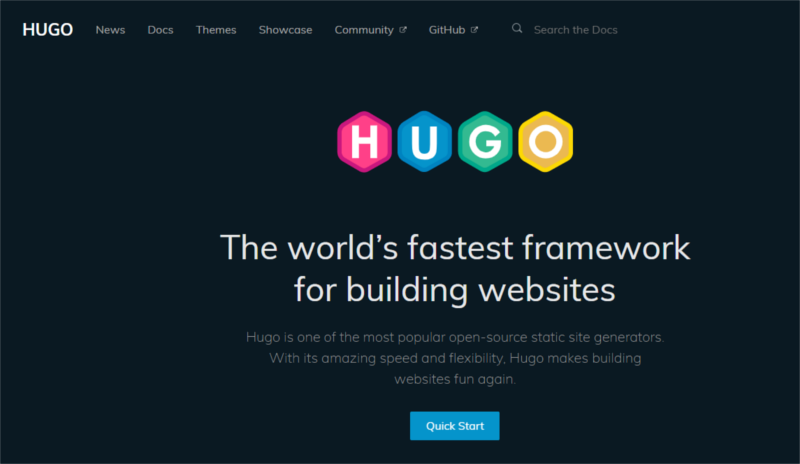 Hugo is a very popular static site generator with over 32,000 stars on GitHub right now. It is written in Go, and advertises itself as being the fastest framework for building websites. In fact, Hugo comes with a fast build process, which makes building static websites a breeze and works great for blogs with lots of posts. The docs are great and the Hugo website offers a fantastic quickstart guide that gets you up and running with the software in no time. Since July 2018, Hugo offers a powerful assets pipeline, Hugo Pipes. With this in place, every .js file becomes a route which gets processed and rendered automatically. 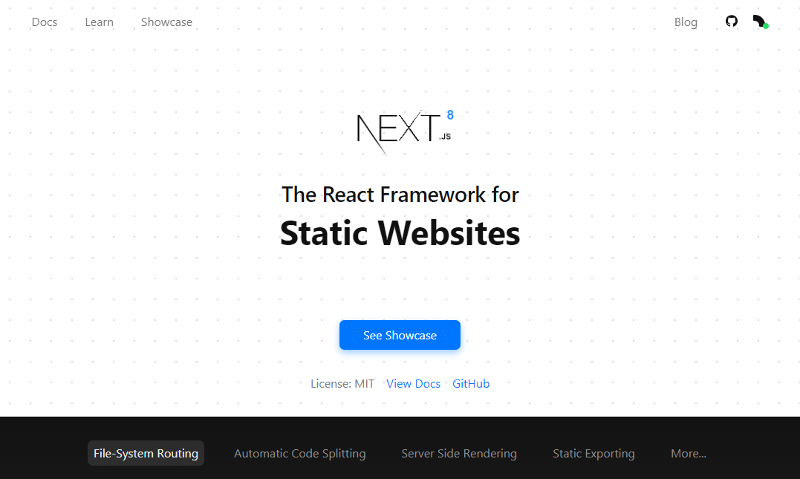 Next.js has great docs, where you can learn more about building and customizing your Next-based apps. Tons of example apps to get you started. Gatsby works great for documentation and blogs, it’s built in React and leverages GraphQL for manipulating data. If you’re curious and want to delve deeper, check out How to Build Your Static Site with Gatsby and the docs on the Gatsby website. Plenty of starter sites are available for you to grab freely and customize. Check out our tutorial that shows you how to build your first static site with Gatsby. Single Page Apps (SPAs). Nuxt gives you the configuration and the framework to build your Vue-based SPA. Creating Nuxt-based websites can be done super quickly. Here’s the Hello World example on the Nuxt website. You can download it on your machine or play with it on Codesandbox to get started. 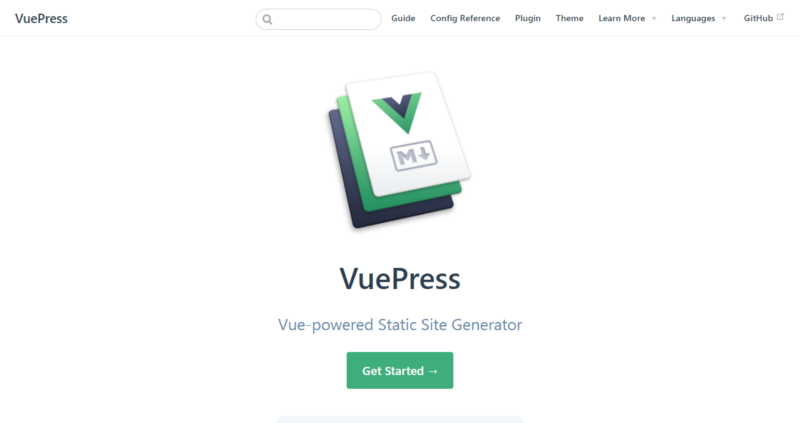 VuePress is a Vue-powered static site generator. Its default theme is optimized for writing technical docs, therefore it works great for this type of site right out of the box. A VuePress site works as a Single Page App (SPA) that leverages the power of Vue, Vue Router and Webpack. Multilanguage support by default with i18n. Setting up other languages is also quite straightforward by adding a locales object to the themeConfig object inside your VuePress-based project’s config.js file. Both Nuxt.js and VuePress are built on top of Vue.js and let you create static websites. So, which one is to be preferred over the other? Let’s say that Nuxt.js can do everything VuePress does. However, in essence, Nuxt is best suited for building applications. VuePress, on the other hand, is ideal for creating static documentation websites that display content written in Markdown. A discussion on the project’s GitHub repo is being carried out in view of making VuePress also suited for feature-rich blogging sites. To learn more about how you can set up a simple blog with VuePress, head over to Creating a Blog with VuePress by Adam Collier. In short, if all you need is a documentation site or a very simple blog in Vue.js, consider reaching out for VuePress — Nuxt would be overkill. With all the options available, it’s easy to feel paralyzed when it comes to choosing a static site generator that fits the bill. There are some considerations that could help you sieve through what’s on offer. Your project’s requirements should throw some light on the features you should be looking for in your SSG. If your project needs lots of dynamic capabilities out of the box, then Hugo and Gatsby could be a good choice. As for build and deploy time, all of the SSGs listed above perform very well, although Hugo seems to be the favorite, especially if your website has a lot of content. Is your project a blog or a personal website? In this case, Hugo and Gatsby could be excellent choices, while for a simple documentation website VuePress would be a great fit. If you’re planning an e-commerce website, then you might want to consider which SSG fits in well with a headless CMS for store management. In this case, Gatsby and Nuxt could work pretty well. One more thing you might want to consider is your familiarity with each of the SSG languages. If you program in Go, then Hugo is most likely your preferred choice. As for the remaining options, they’re either built on top of React (Next and Gatsby) or Vue (Nuxt and VuePress). With regard to stuff like great documentation, strong community and support, all of the static site generators I listed figure among the most popular, or rapidly gaining in popularity like VuePress. Have you used static site generators for a project? Which one? How did you like the experience?